When you live in warmer climates, or even during summer up north, it is inevitable to receive unwanted guests… of the pesky kind. From lizards, to spiders, to teeny, weeny, little frogs, I’ve seen it all. The most annoying of these pests, however, are the ants! Big ones, little ones, red ones, brown ones. They are everywhere! How does one get rid of these buggers without spraying poison all over the counters? Cinnamon is a great option. Ants hate the scent of cinnamon, so they avoid it like the plague. Sprinkling some cinnamon powder along the edges of the counter where it meets the wall, or along ant trails, will stop the ants in their tracks. Ever get ants in your sugar bowl? That is the worst! Little ants sprinkled in your sugar as you spoon it out. All you want to do is to sweeten your coffee. If you don’t notice it immediately, you soon will. Their tiny carcases will float to the top. It’s not a pretty sight. Your morning is ruined…! Sprinkling cinnamon powder in your sugar bowl wouldn’t be a good idea, unless you like cinnamon coffee. 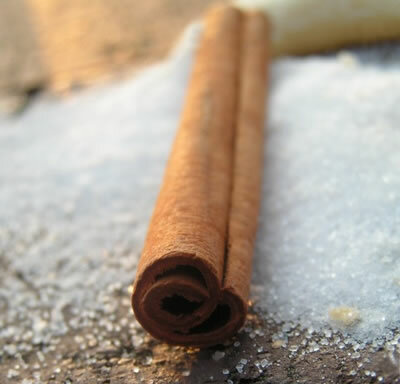 Instead, lay a cinnamon stick or two on top of the sugar in your sugar bowl. This will keep the ants away, but won’t flavor your sugar. It really works! Give it a try. If you have any tricks to keep pests away, let me know. I’d love to try it. This scrub recipe was passed down to me by a friend. I want to share it with you because I really like it, and I use it all the time. With just 3 pantry staple ingredients, this scrub is easy and affordable to make. Extra virgin olive oil – I’ve said it before; it’s my favorite beauty ingredient. It has similar properties to our own sebum, so it’s easily absorbed by our skin, yet it doesn’t clog pores. It also nourishes and moisturizes. Honey is a great antibacterial. It is purifying, soothing, and helps heal and soften the skin. 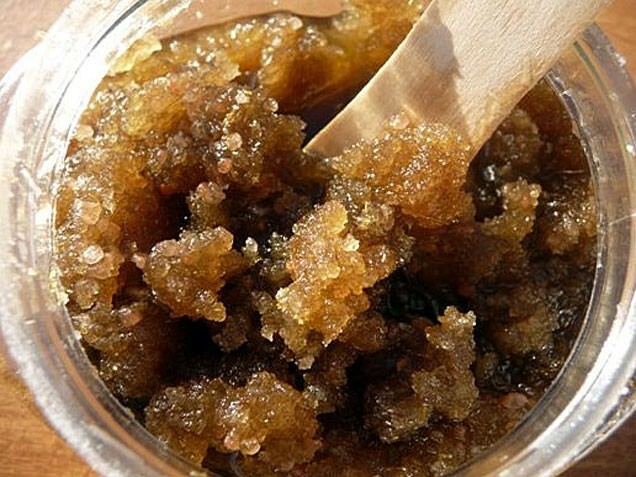 Sugar is used in this recipe as a mild abrasive to help remove dead skin cells, and to smooth the skin. I use all organic ingredients when I make this scrub. Mix all the ingredients together in a container, until thoroughly combined. Make sure the container is has an airtight seal to store. Do not store this scrub in the fridge, as it will harden. To use: First, gently cleanse your face. 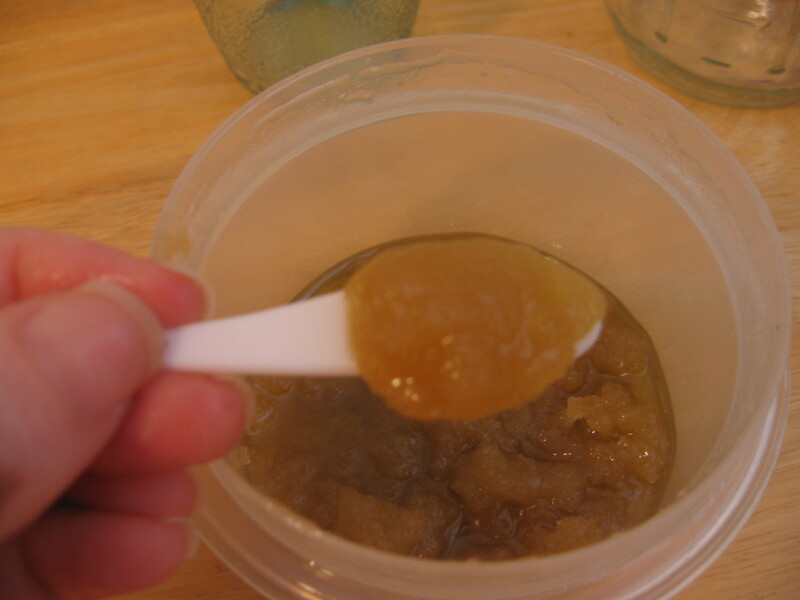 Since the honey and the sugar tend to bind together, making the scrub harden a bit, I suggest you moisten your hands with water, then warming a bit of the scrub between your hands to melt the honey and make it smooth before applying to your face. Using circular motion and very light pressure with your finger tips, gently spread the scrub all over your face, being careful to avoid the delicate eye area. Rinse with plenty of water, making sure all the sugar is rinsed off. While you are rinsing, your face will feel very oily, as oil and water do not mix. Do not try to rinse off all the oil. Pat dry to remove all excess oil. Your face will look and feel amazing. You will not need to apply extra moisturizer. I recommend using this scrub at night, no more than twice a week. Please note: You should never use any kind of abrasive if you are breaking out. Doing so may irritate the skin even more, break pustules, and cause scarring.